Japan has moved closer to lifting a two-year ban on US and Canadian beef after government health advisors said the meat posed a 'slim' risk to consumers. A sub-committee of Japan's Food Safety Commission said imports, which had been halted amid fears of mad-cow disease, could resume as early as December. The ban has proved controversial and the US threatened retaliatory tariffs. to Japan on 15 and 16 November. 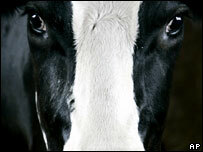 The ban on US beef was imposed in December 2003, seven months after halting imports from Canada. At the end of 2004, it seemed as if a breakthrough had been negotiated when Japan agreed to exempt cattle that was younger than 20 months. Japan attached conditions to the deal and it pretty much stalled, prompting increased frustration among US producers. Before the ban, Japan was the biggest importer of US beef. Speaking on Monday, the chairman of the committee that looked into the risks related to US beef said that a ban could be lifted as long as dangerous body parts - such as heads and spinal cords - were removed. "Based on the assumption that all precautions are taken as requested, we consider the difference in risk between US and Japanese beef to be extremely small," said committee chairman Yasuhiro Yoshikawa. "If the conditions are maintained, the risk is very slim." However, the lifting of the ban if far from certain. The sub-committee will now forward their report to the full Food Safety Commission, which is expected to consider it on Wednesday. Following that, there will be public hearings and finally the government will be asked to approve or reject any changes to the ban. While policymakers may be close to reaching an agreement, surveys have shown that the majority of Japanese consumers remain very wary of US beef. Mr Yoshikawa also urged caution, adding that "imports must be stopped if there is a concern of a risk to humans".